Presently, here is an amazing news to all Nigerians. 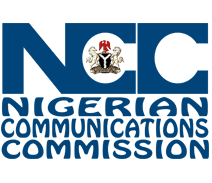 The Nigerian Communications Commission (NCC) has ordered all telecom network in the nation to give additional 14 days period once somebody's data subscription terminates without finishing the data purchased. For example, on the off chance that you subscribed for one month data subscription and you couldn't use all the data given before the 30 days or 31 days time frame, you will get additional 14 days period to use the remaining data balance. This is the thing that NCC implied. The best network providers in Nigeria like MTN, 9Mobile, Airtel and Glo are altogether influenced. NCC has ordered all system suppliers to give their supporters 14 days of grace after the 30 days termination of their data subscription on the off chance that the subscriber has unused data left and can't recharge their line to get data roll over. This order from NCC isn't yet successful as of the time of posting this article yet I trust it's taken genuine and actualized. Actually, regardless of whether it's actualized or not, I don't think it will be of help to me personally in the sense that i still have the grace of Double Data Offer 10GB isn't sufficient for me in two weeks talkless of not finishing it for 30days. Anyways what do you have to say on this! NCC should mandate Telecom Operators to reduce the price of data and also check how these data is being deducted. In the land of trouble, your portion shall be empty, In the house of problem, you shall not be an occupant, In the list of sudden death, your name will be missing but among those that will break-forth into breakthroughs, success, uncommon favour, un-explainable connections and timeless testimonies, your name will top the list in Jesus Name Amen. Happy Sunday, Happy new month and happy Independence I love you all so much. Enjoy your self dear. I think that a nice decession from ncc it will make all subscribers to use up their data b4 it expiring date will reach.i think ncc has come up with a good idea. I know definitely they are going to talk about poor services.